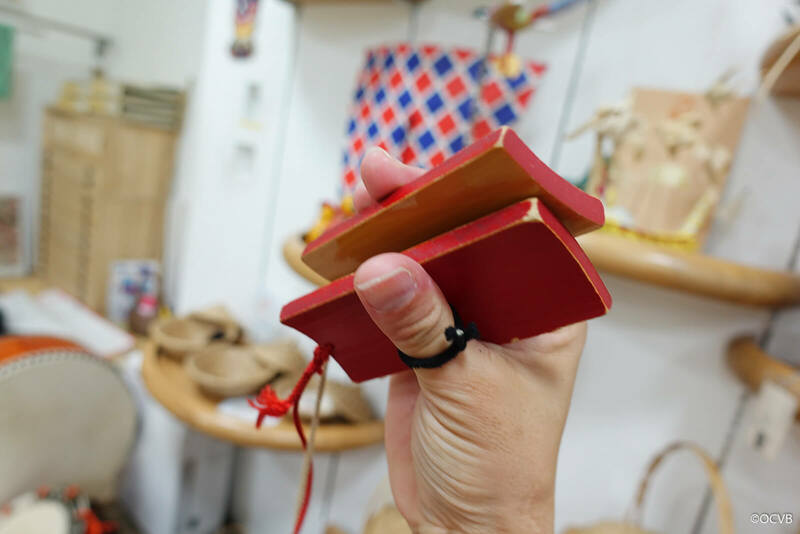 We visited the “Hands-On Experience Room” at the Okinawa Prefectural Museum and Art Museum. 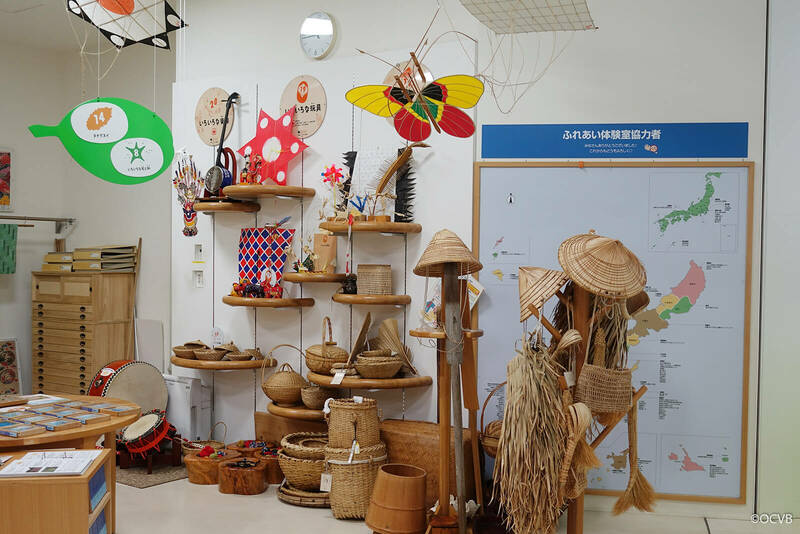 There are tools, toys, and instruments that have been used in Okinawa since long ago lined up inside ready for visitors to hold and examine. 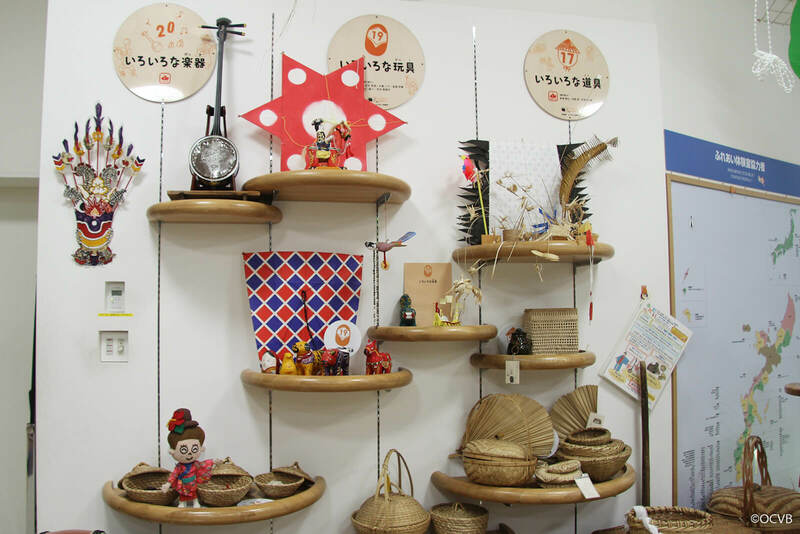 Here you can see tools made from weaving plant leaves together and feel the living nature of the items. 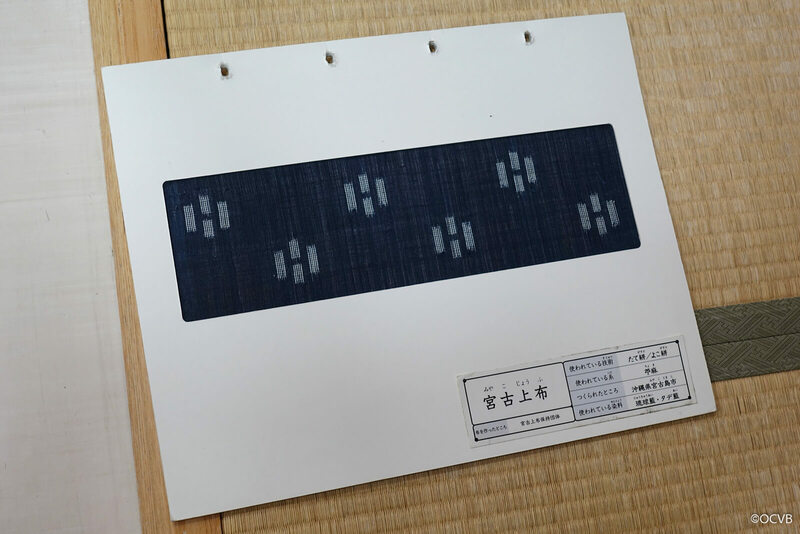 This is a Yotsudake, an instrument used in Ryukyu traditional dance. 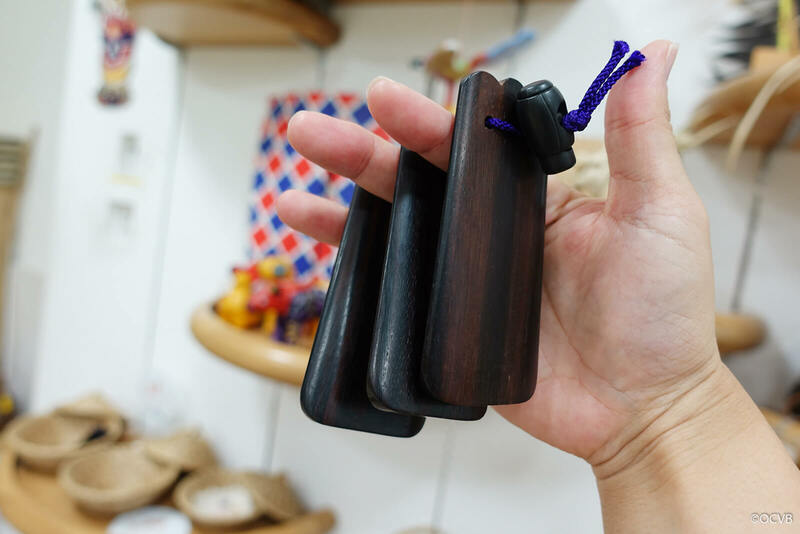 The two pieces of wood are hit together to make a sound, and experienced players can perform without using the piece of rubber that fits around the fingers. 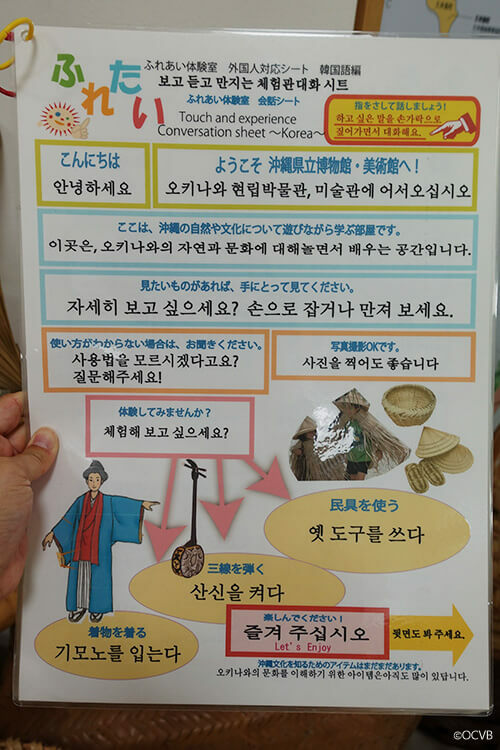 This is a Sanba, used for folk songs with a fast tempo. It seems like it would require some serious skill to produce a rhythmic sound. 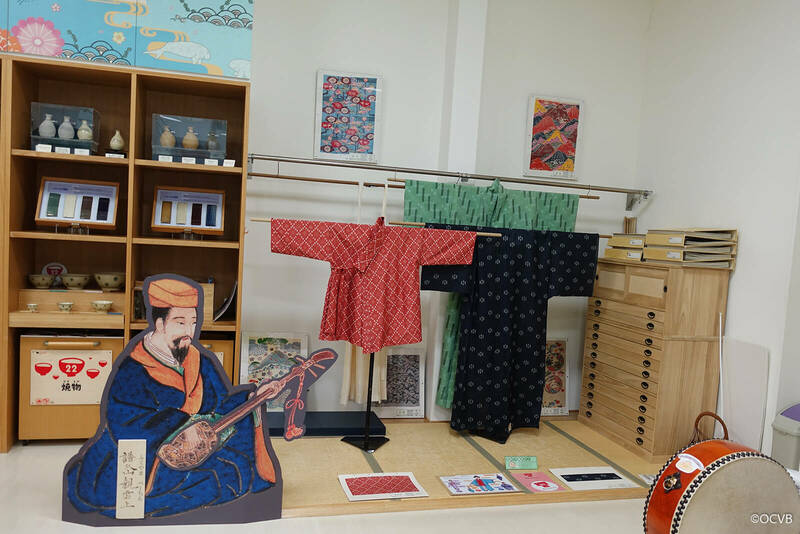 Visitors can also try on clothing from the period of the Ryukyu Kingdom. 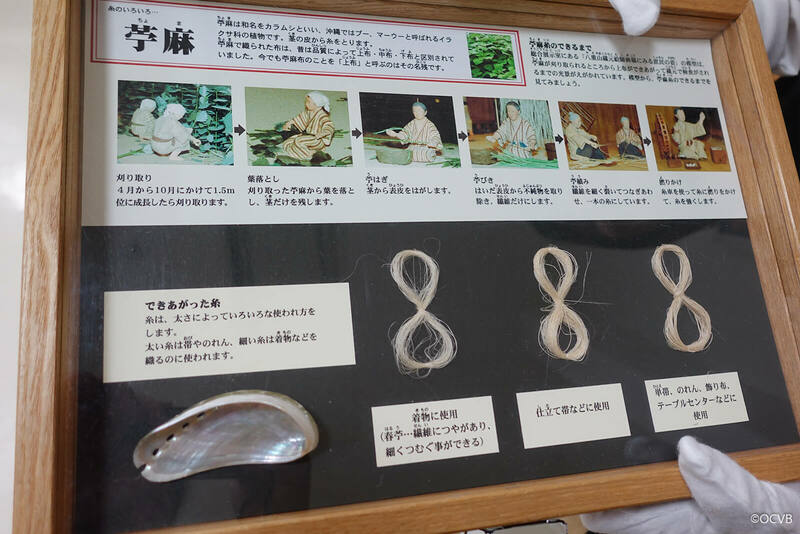 While trying on the outfit, I could sense that the silky feel of the material would be perfect for hot Okinawan summers. There is also information available on the materials used for the clothing. 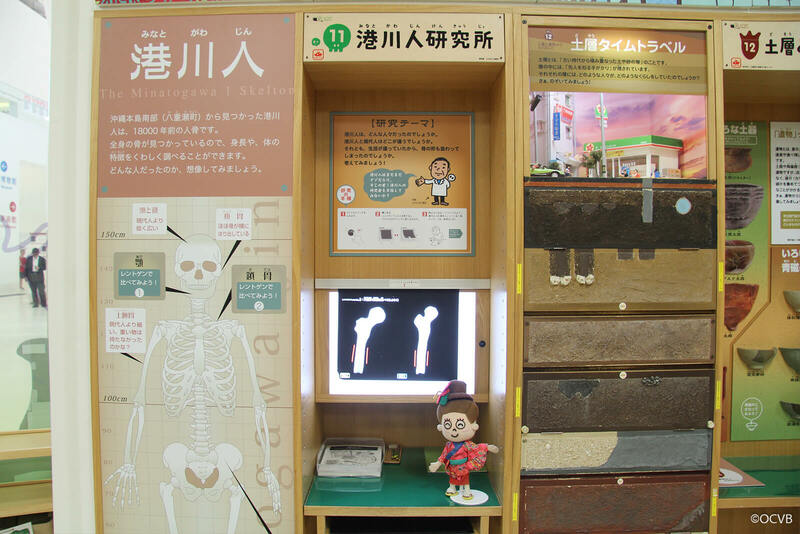 In another corner is a skeleton of the Minatogawa people, who are believed to have existed in Okinawa around 18,000 years ago. There is also a modern day skeleton for comparison. 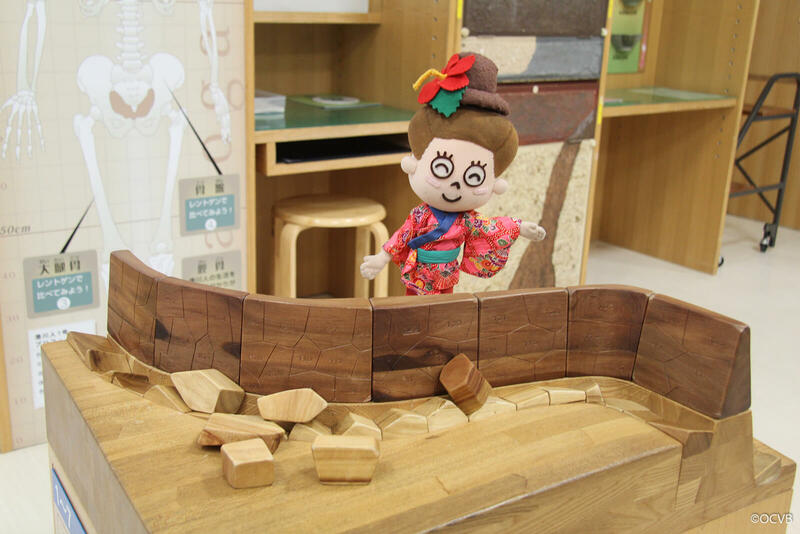 Why not challenge yourself with a puzzle of fossils belonging to the Minatogawa people? 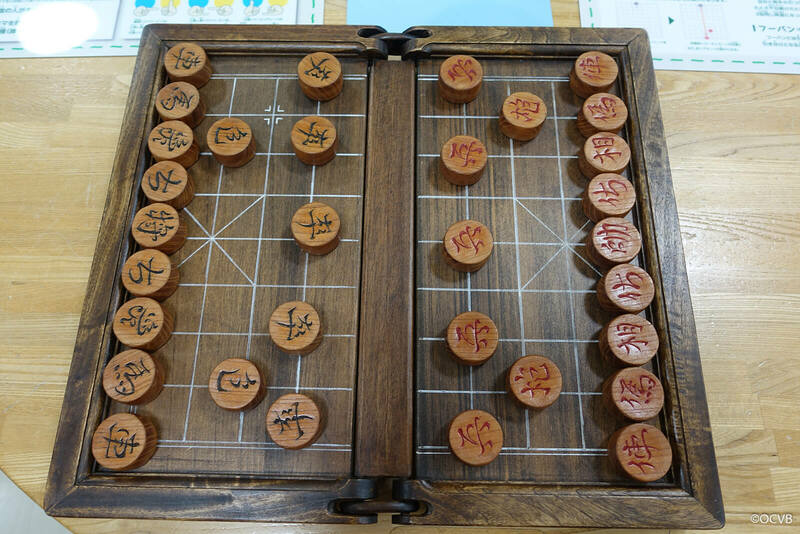 Chunjee, known as traditional shogi, appears to have developed in the Ryukyu Kingdom without the influence of Chinese chess. 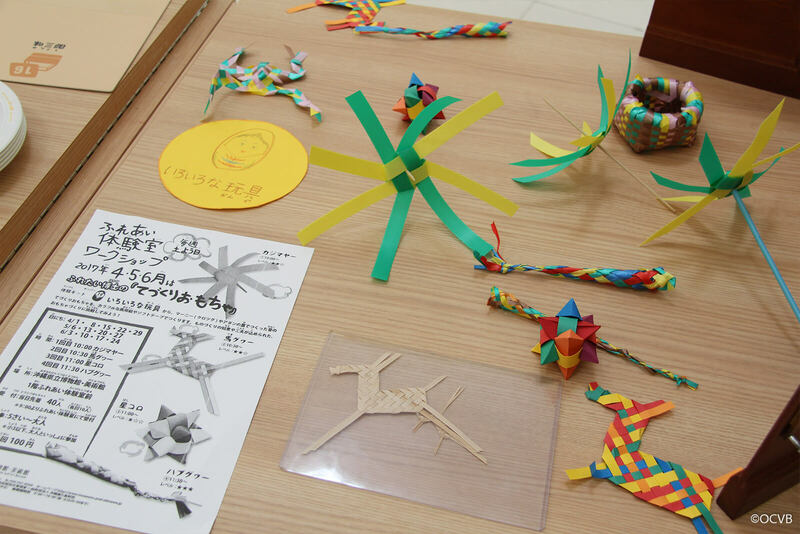 Visitors are also challenged to construct the stonework found in Ryukyu castles! I tried to stack the wooden building blocks that looked like stones, but it was quite difficult and I now have more respect for the masonry techniques and skills of our ancestors. 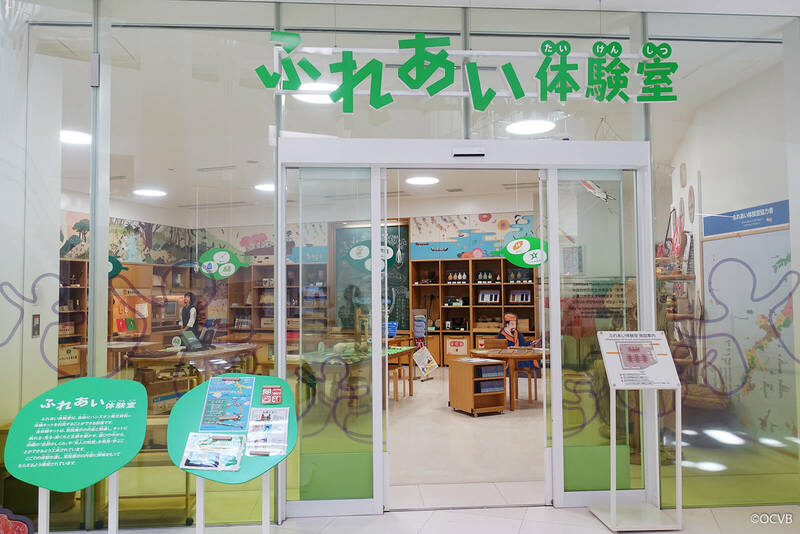 With the aid of multilingual tablets and conversation sheets, the staff do their best to use hand gestures and carefully explain so that foreign guests can have an enjoyable experience.